For over six years, Davidson County Young Marines Unit Commander and veteran Marine Jerry Foy has led the Davidson County Toys for Tots Campaign, giving a holiday of blessings to young children throughout the county. Last year alone, Davidson County filled requests for more than 390 families. Foy became the Toys for Tots campaign coordinator for Davidson County in 2006. One year later he developed the Young Marines program for our youth here in the county. “Since 2006, we have been able to fill all of the donation requests and we hope to continue to do so,” says Foy. Friends of the Lake toys donation day 2013. Although the national Toys for Tots campaign contributes monetarily to the Davidson County program, the community is the driving force behind the donations and the ability to fill all donation requests. “If it wouldn’t be for our local donations, this campaign would not be a success,” according to Foy. The campaign works by having local residents drop off new and unwrapped toys to various business establishments throughout Davidson County. Boxes are clearly marked as Davidson County Toys for Tots donation boxes. “All of the donations collected in our community stay in our community,” says Foy. The Young Marines work in the distribution center sorting and tagging bags of toys leading up to the big day. “This campaign is an ongoing effort that starts in October and these Young Marines work hard to ensure children in need have a Christmas,” states Foy. In mid-December, those who have received approval for their requests receive a confirmation number and stop by the distribution center location, which has not been secured at this time, where they pick-up the bag of toys. Requests for donations come through the national Toys for Tots website www.toysfortots.org. Monetary donations can be made on the website as well. All the requests and financial contributions are allocated to the Davidson County division, so your money stays in the local community. In addition to picking up donation boxes full of toys, Jerry Foy gets to shop for toys as well. In recent years, additional local partnerships have also grown. The program provides toys for area non-profit organizations like Crisis Ministries of Davidson County, Davidson County Family Services, Thomasville Corporate Ministries and The Father’s Storehouse also in Thomasville. Although the Toys for Tots program may only take place one time a year, the Young Marines of Davidson County is an ongoing program that serves throughout the year. In 2007, Jerry Foy started the national program in Davidson County. The Young Marines meet weekly where they learn life skills. The core values of the program are leadership, discipline and teamwork. “The program is not about recruiting future service men and women, but about teaching them how to respect others and grow into healthy adults that promote and live healthy, drug-free lifestyles,” according to Foy. There are currently 40 members ranging in age from eight to 18 years-old or completion of high school. Young Marines participating in Veteran’s Day Ceremonies in Lexington 2013. Unit Commander, Jerry Foy on Left. The Davidson County program currently has two members in active duty and three preparing to go into active duty upon graduating from high school. “When they have completed the Young Marines program and choose to go into active duty, they enter the military at sergeant level, which is one step higher than private,” says Foy. As part of the program, each student is required to fulfill 50 hours of community service every year. Community service credit can include involvement in community service activities with the Young Marines, or by providing community service through their own arrangements. The Davidson County Young Marines provide volunteer hours for Spin 4 Life, Davidson County Family Services and various other non-profit organizations throughout the year. Marines will participate in a campaign where they will visit local veterans and hand out Christmas cards. The Young Marines also visit area veterans hospitals and nursing homes and participate in area Veteran’s Day Parades. Every year, the unit takes one big trip and 2015 will be no different. The group will be visiting Window Rock, AZ where they will meet with the Navajo “Code Talkers.” These Navajo Code Talkers were instrumental to the United States in WWII. As other countries were breaking U.S. code during the war, the U.S. met with the Navajo Indian Tribe and with their cooperation translated English into the Native American Navajo language. This brought an end to the codes being broken and allowed for communications to be received during heated WWII battles. “We take great pride in our youth and the Young Marines program and love watching them grow into quality American citizens,” says Foy. To join the Young Marines of Davidson County you can simply attend a weekly meeting or visit the national website www.youngmarines.com for more information. The groups meet on Mondays from 6:30–8:30 p.m. in the Public Safety building at Davidson County Community College and on Thursday’s from 6 p.m. – 8 p.m. at Liberty Drive School in Thomasville. The holiday season is now upon us and the days have gotten shorter. We’ve lost the extra hour of daylight and fallen back to normal time. We usually think this time of year is full of joy, but for some of us winter brings low spirits as the days get shorter. Many experience changes in mood and emotions, feelings of exhaustion and for many of us, feelings of depression due to lack of sunlight. The severe form of this depression is known as Seasonal Affective Disorder (SAD). If you think you’re experiencing the winter blues, here are a few suggestions to help you through the wintertime misery. In winter we think of colors of blues and grays, cold temperatures and staying inside more often. Uplift your mood by decorating your home with colors of the sun. These colors evoke images of fire and heat, enhancing feelings of warmth and happiness. 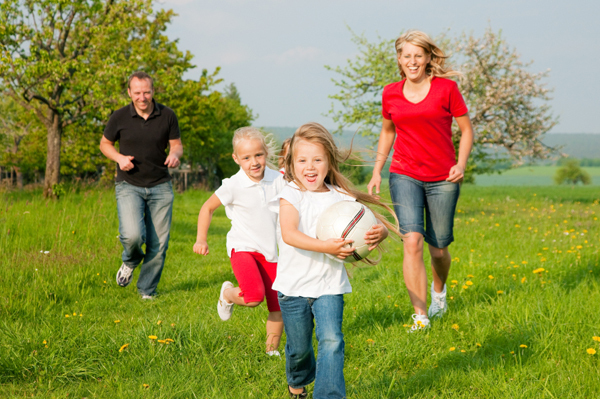 Reds overcome depression, encouraging activity which improves our body metabolism. Orange brings joy and reduces feelings of grief. Yellow stimulates the mind, clears your head and also reduces depression. You don’t need to pick up a paintbrush to accomplish this. Add colorful pillows or tablecloths in the colors of the sun. Place candles with wonderful aromas around your home. Use sofa or chair covers to brighten up your darker furniture. Place plants and flowers inside to remind you of the smells and look of spring and summer. Even replace hard wooden and metal blinds with soft curtains. Winter is great time to stimulate your creativity. Visit museums or go to movies or plays. Hang out with friends and learn a new game. If you enjoy reading, catch up on the book or books you’ve been meaning to read. Organize a room or even your whole house. Another way to beat the winter blues is to add a new hobby or start exercising. Anything to get you moving will do. Both rid feelings of depression, especially exercise. It increases serotonin release in the body. Bundle up and head outdoors for a brisk walk, snowball fight or sledding, playing with your dog or even riding your horse. A balanced diet that will keep you warding off the winter blues includes plenty of whole grains, fruits and vegetables. This includes plenty of water. Holidays mean food. Try to stay away from too many sweets and that includes alcohol. You will experience a feeling of happiness initially, but it will soon turn to feelings of exhaustion and depression. Depression and lack of energy can lower your immune system, exposing you to colds and flu. Consider holistic approaches like aromatherapy to staying well. The use of therapeutic essential oils can prevent your body’s immune system from declining. Bath salts, bath scrubs, and bath and hand soaps with essential oils in them help eliminate many germs, insomnia and body aches. Essential oils applied directly to the body are used for healing, calming and balancing thoughts and emotions. Also using essential oil diffusers in your home can benefit the whole family. Young Living’s blend of Thieves Oil and the single oil, Maleleuca, are great for relieving colds and flu. Stress Away is great for calming the stresses in your life. Lavender Oil is good for calming and sleep. Essential oils can clear a stuffy nose, relieve a headache and body pains, and add to your health and wellness. Remember that winter is a time for celebration and connecting with family and friends. Take care of yourself with these suggestions and experience how aromatherapy can add to your health and wellness. If you do these things, you will survive the bleakness of winter and your wintertime blues. Happy Holidays and Best Wishes for Winter from The Nature Cottage! It’s that time of year where the days are getting shorter and the temperatures are colder. This can also be the same as the heat of the summer and energy cost can go up if your home isn’t prepared. With a few of these cost efficient tips, you can keep the entire family comfortable without breaking the bank. Save money this winter by cutting your thermostat down to the lowest possible temperature to keep you and your family comfortable. For every degree you turn down your thermostat, you can cut your seasonal energy cost 3 to 5 percent. Proper air sealing around windows and doors can lower your energy bill up to 30%. The average U.S. home has gaps and cracks that run ½ a mile long from end to end. Adding insulation to window and door seems can prevent heat from escaping and cold air entering. It’s also important to check your insulation around windows and doors each year, as replacing current insulation might be necessary. 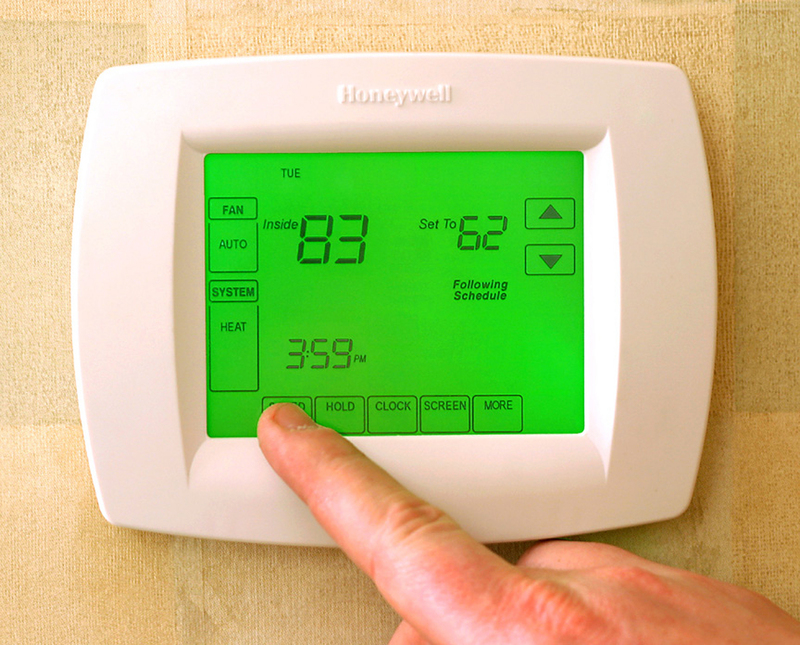 Using a programmable thermostat can also cut energy cost up to 10% that can amount to $180 or more per year. Setting the temperature to a cooler temperature during the day while you’re not at home and warmer at night will keep those heat pumps and furnaces from running up energy cost while no one is home. Replacing your thermostat is an easy and affordable option to reduce heating cost. Switch to cold water to wash your clothes. According to Energy Star, by switching the washing to cold water an average household can save between $30 to $40 annually. Put your holiday decorations on timers. This goes for Christmas trees, indoor decorations and outdoor alike. For those outdoor decorations put them on a timer, so your lights do not run all night long. Stopping the energy to those lights in the early morning hours can save you hours on your energy bills. As always, clean and change filters regularly. Dirty filters add strain to your systems causing them to work hard and increase your energy bill. Also, the standard filters work just as well as the fancy allergy removing ones as long as they’re changed regularly. You can save money by purchasing these filters and it will reduce the strain on your energy systems. Your hot water heater can also cause your utility bill to go up if it’s turn up too high. Set the water temperature to 120 degrees. Simply reducing the temperature from 140 degree to 120 can save you 15% off energy cost. Adding a hot water heater blanket to your water heater is also a way to add insulation and keep the temperature warm. Pulling the shades down during the night and dark hours will help keep cold temperatures out and opening the blinds to get natural light will help keep temperatures up as well. Change the direction of your ceiling fans to pull the cool air up to the ceiling in turn pushing the warm air down can keep rooms warm. Make sure you have the blades rotating clockwise for this to work. These energy saving tips and others can keep money in your pocket this winter. Take advantage now of these tips so you won’t be sorry later. If you have other ideas and suggestions share them on the Focus Magazine facebook page!